Turnkey internet provider overview with company location, number of reviews & testimonials, plan features, website details, discounts and more. The company has 8 products on Shared, 10 products on Dedicated, 2 products on Colocation, 6 products on Reseller, 3 products on Virtual Dedicated, 4 products on VPS and 2 products on Cloud (with the following platform distribution: 8 plans on Linux, 6 plans on Windows, 2 plans on Unknown and 19 plans on Linux/Windows). Established in 1999, TurnKey Internet offers bulletproof web hosting dedicated servers and virtual private servers. Fully managed hosting services include 24x7 performance monitoring, off site backups, firewall protection and security updates. Today, TurnKey Internet stands out from the crowd through its use of advanced technology solutions. We own and operate our own Latham, New York-based green, SSAE-16 Certified, Datacenter, with a fully redundant next generation fiber optic network, and offer a 100% Network Uptime Guarantee on all of our services. Our geographically redundant Web Hosting provides high speed, regional-focused solutions for all our Dedicated Servers, Virtual Private Servers (VPS), Colocation and Software as a Service (SaaS) products. 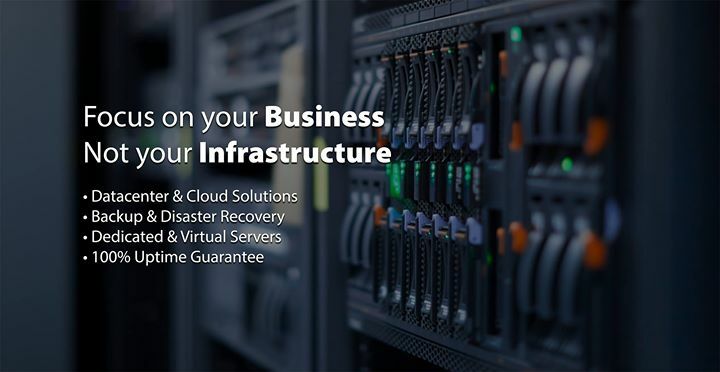 Ensuring continuity for your business requires you have a fast and proven disaster recovery process in place. It is vital. User started on May 8, 2009, having by now 1784 tweets with 2833 followers, included in 57 lists and 1718 friends. TurnKey Internet account is having 1 likes, talking about them 0 peoples. Turnkey Internet (est. 1999) is having 194 followers on LinkedIn. About: TurnKey Internet is a full-service Cloud Hosting Solutions provider with data centers in New York and California, specializing in Infrastructure as a Service (IaaS) to clients in more than 150 countries. Description: Established in 1999 to provide advanced consulting services to Internet Service Providers and Enhanced Telecommunications Providers, TurnKey Internet was founded on a simple principle to focus on the customer. In 2001, many of the services TurnKey Internet provided to the large Internet Service Providers became practical solutions for many emerging Internet businesses. TurnKey Internet has since focused heavily on the small and medium-sized business client that needs reliability, speed, and cost-effective web hosting solutions for their online business. Company overview: TurnKey Internet has been providing online business solutions since 1999 with a focus on ease-of-use and streamlined efficiency for business growth. What began as a web hosting company has become a comprehensive business solutions provider, offering a wide range of “turnkey” products for businesses competing in the online marketplace. Headquartered in New York’s Tech Valley Region, TurnKey Internet’s Flagship company owned Tier IV Datacenter offers SOC 2 - SSAE 18 Type II certification, powered exclusively by on-site Solar and Hydroelectric sources to provide a 100% renewable energy footprint. In 2013, the facility was designated as the 39th ENERGY STAR® Certified Datacenter in the United States. TurnKey Internet owns and operates its facilities (network, computers, infrastructure, fiber optic circuits, etc.) and maintains its own dedicated local staff. TurnKey Internet is not a reseller or a sales agent for another datacenter or web hosting company. By owning their infrastructure, they are able to offer the most reliable service and competitive pricing backed by unmatched 24x7x365 managed support. Mission: It is the mission of TurnKey Internet to provide the highest possible quality web hosting and customer service 24x7x365. Established in 1999, TurnKey Internet is a leading provider of managed web hosting and cloud based IT solutions, providing enterprise-class cloud based services to customers in over 150 countries via its Albany, New York, state-of-the-art, green data center. With 100% network up-time and guaranteed next generation fiber optic network, TurnKey’s geographically redundant web hosting provides high-speed, enterprise-level service for all dedicated servers, virtual private servers and cloud hosting products. TurnKey Internet specializes in helping local and international businesses leverage the best-in-class technologies of 'The Cloud.' Cloud Computing offers amazing benefits such as bulletproof reliability, increased productivity, simplicity of use, and huge financial savings. As technology improves at unprecedented rates, businesses need a truly TurnKey way of remaining competitive without breaking the bank. Visit www.TurnKeyInternet.com or call us toll free at 877.539.4638.